In weather forecast, the barometer measures the pressure of the atmosphere, with the high pressure bringing in plenty of sunshine and the low-pressure clouds and rain. Is there a barometer for the financial markets? Actually, there is. It is called volatility, one of the most important risk indicators. For the US stock market, a very good proxy is the VIX volatility index. Volatility measures how quickly prices move and by how much. For the US stock market, the average volatility over the long term is 17 (annualized). This is a good number to remember because it is an excellent reference point. But what does it mean? 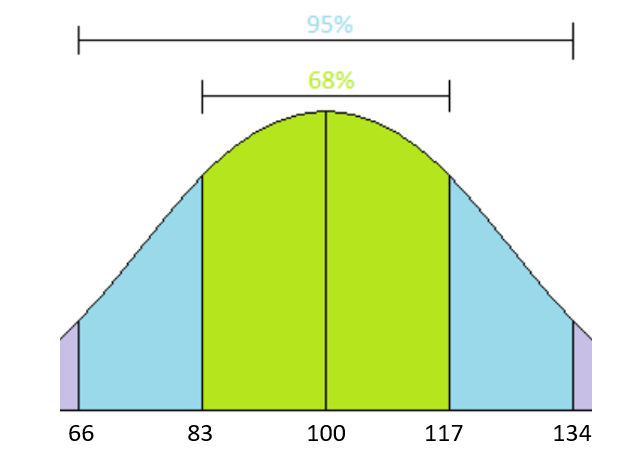 With 95% chance, your investment is in the range of $66 and $134. If you are mathematically inclined, volatility is the standard deviation of the returns. Risk and return always go hand in hand. However, people talk about returns all the time but not so much about risk. For example, I have this chart for returns but couldn’t find a matching one for risk. Nonetheless, it is well documented that stocks are much more volatile than bonds. 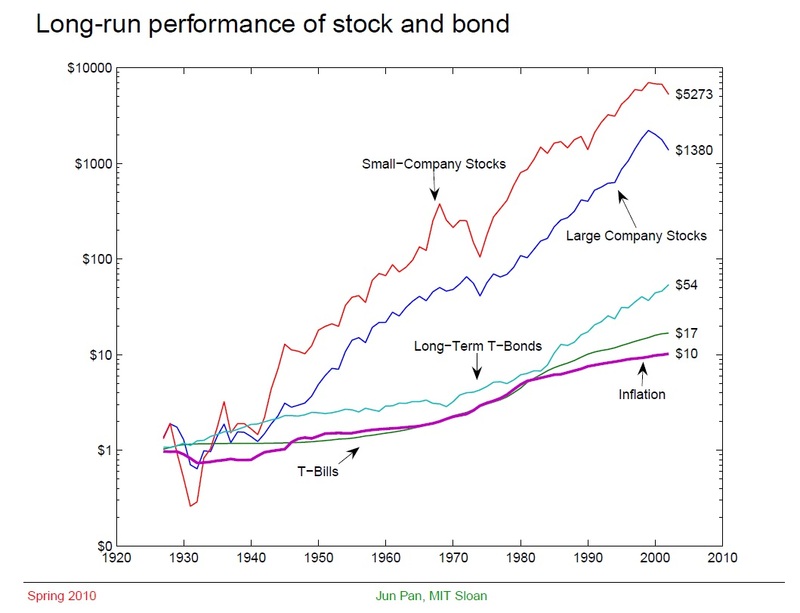 Based on this study, stocks are three times more volatile than bonds on average. “Higher risk, higher return” proved, right? Not so soon. When allocating your assets between stocks, bonds and other asset classes, which asset class is better? And which mix is optimal? The Sharpe Ratio, named after Nobel Prize Laureate Dr. William Sharpe, measures the risk-adjusted return. Generally speaking, the higher the Sharpe Ratio, the better. You would also need to consider your risk tolerance and the correlations among different asset classes for meaningful diversification.